There has been a lot of talk about Vietnam’s new e-visa recently. Since February 2017, nationals of 46 different countries are able to apply for a single-entry 30-day visa online, print out a visa, and enter Vietnam. Provided that the government website works fine (it may take several tries), the process is quite simple and quick. You apply, you pay, you get approved within a couple of days. However, there is a minor problem: said e-visa only works for certain ports of entry and exit. And we have recently found out that Vietnam e-visa and train travel don’t work well together. 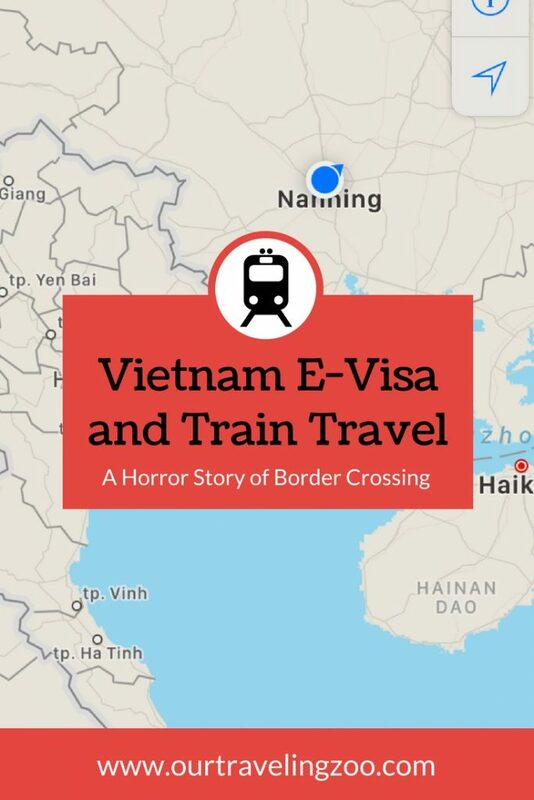 In February 2018, we took a train from Hanoi to Nanning, China, and witnessed 3 fellow teachers being denied exit from Vietnam. The ladies had e-visas that let them into the country without any issues but as all of us found out that night (or very early morning, really), one cannot leave the country by at least that particular train with an e-visa. 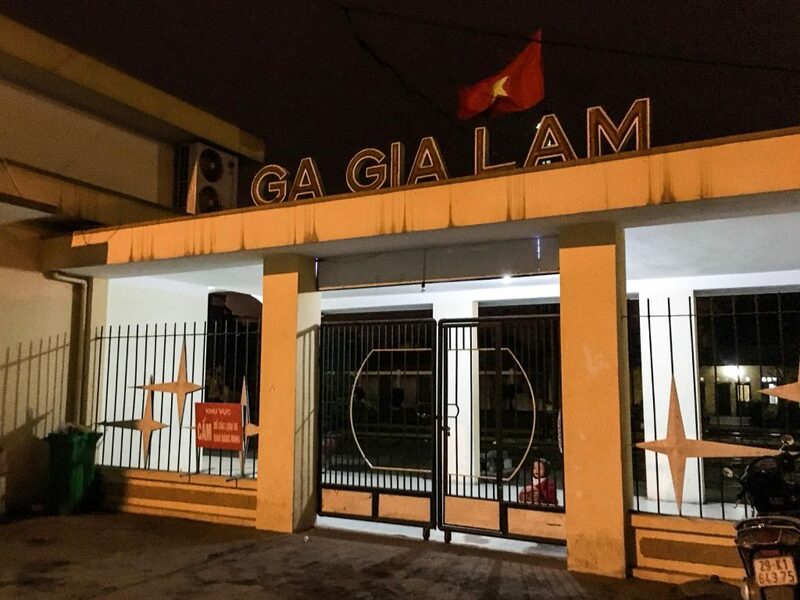 While there is an electronic visa-approved border landport in the same town (Huu Nghi Landport), it apparently refers exclusively to the non-railway border crossing. Our fellow-travelers made it to the Vietnam border but were not allowed back on the train. They spent over an hour of first waiting for an official and then talking to one. There was no convincing him to let them out of the country. At 2.30am, the Vietnam/China train left without them. They were told they had to get a taxi to the landport which opened at 7am. They got there by the opening time but it was already crowded. One of them later told us, “It was complete chaos. If you don’t get there early then you will wait in a mob- like crowd for hours. It was a nightmare of an experience crossing there. No structure and officers hand pick people that they want to go through. We were lucky that one officer recognized us from the night before and he literally pushed people out of the way so we could get through.” They spent 2.5 hours at the border, and when finally through had to pay an exorbitant amount of money (1,000 RMB) for a taxi to Nanning. We were very, very lucky not to have been left behind with these poor women because we came very close to getting those electronic visas. Jenia even sent an email to the Vietnamese immigration authority asking for more information about the e-visa and train travel. She never got a reply and decided to play it safe. There is NO information about this on the government portal, there is NO information about it on the websites selling train tickets. Nobody checks your visa before you board the train or when you purchase your ticket. Please beware that this can and does happen and opt for a different kind of visa if you are planning to take a train into or out of Vietnam. After all this, the big question is which ports of entry and exit does the e-visa work for? The official list may be found on the Vietnam government’s immigration website mentioned above by clicking around, or just click here for a shortcut. If you aren’t certain which port you will be exiting from, then make sure you find out (granted, this isn’t an easy task.) If the port isn’t on the list, you will definitely not be allowed to leave the country – or probably enter, for that matter. Opt for a different Vietnam tourist visa if you’re not absolutely certain whether the e-visa is approved for that port of entry or exit. Read more about our trip to Vietnam here. Thank you for this detailed and very informative article about E-Visas in Vietnam. I’m sure many will benefit by reading this. Oh gosh I hate visas. Thanks for the tips and I feel very sorry for those 3 teachers. I didn’t even know about the e-visa when I went to Vietnam last year! I was pretty upset when I arrived and found out that you can only get a 15 day visa at the border (I’m from the UK). Luckily it turns out you can pay to extend the visa to 30 days when in the country so that’s what I ended up doing. I hate the way immigration can just pick who they want to let in on any given day! This sounds awful and I will bare this in mind if I plan to leave Vietnam through the trains! I mean, you can kind of understand how it’s their job but still. Why not let people leave your country? It seems that the e-visa won’t work if you’re trying to enter by train either. Oh my goodness thank you for the tip! Heading that direction early next year, I will have to check if it has changed by then again. Thanks for sharing I am sure you are going to be helping a good few travelers. We sure help it prevents somebody from making the mistake! At least this was at the end of the trip, when they were trying to leave, not when they were trying to enter! That’s interesting to see Vietnam has finally gone “e”. I remember when we got ours they took a while to get processed. Thanks for the train. I find being able to be in possession of the latest facts when it comes to visas so useful. Thank you, Kerri. It seems that the e-visa would be a brilliant solution if they begin processing it at every port of entry and exit. Its always good to know the flip side. Glad I came across this post because all I know about Vietnam till now is the gorgeous landscapes. I would be better prepared when we go. Doesn’t sound like too much fun! We’re on a work visa in China and even though the school handles it, it’s still very much a hassle. Man, I feel bad for those teachers. That had to be really frustrating – and also a little anxiety-inducing to witness! Thanks for the heads up about this program – sometimes the traditional way still works most dependably, I guess. We felt terrible for them. What a way to end an otherwise lovely holiday!